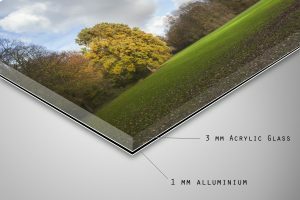 We want to bring our art to a large variety of customers, therefore we choose to work with four different print sizes. The large photo’s (40×60 & 80×120 cm) will be printed on high quality paper by “Fotolab Kiekie Amsterdam”, The Large prints will come with an certificate of authenticity and will be signed by our photographers. 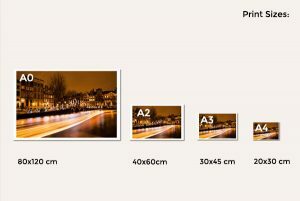 The two smaller sizes (20×30 & 30×45) will be printed and will be sent directly to your home.